Wednesday 24th August - Half an hour late into Grasmere by bus we started up the path by Sourmilk Gill in drizzle. 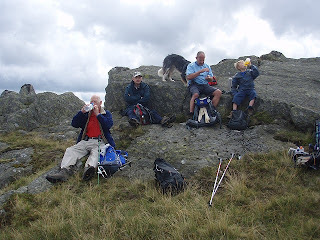 In waterproofs by the time we reached Easedale Tarn and in cloud by the time we got to the top of Blea Crag. 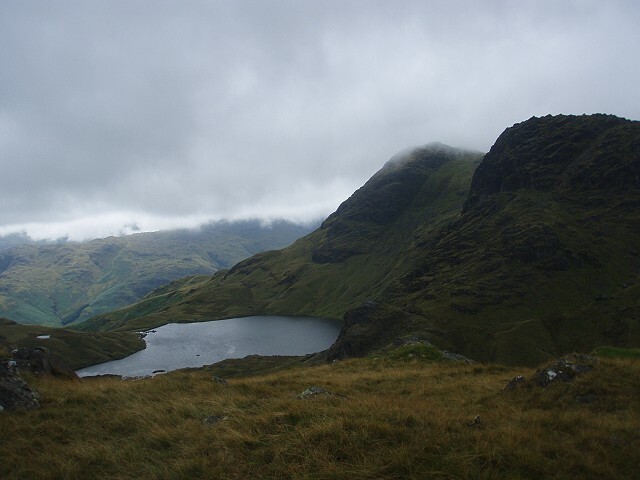 A short stop for lunch and then as we resumed our walk along the ridge ......... as if by magic the steep cliff of Harrison Stickle appeared through the mist. 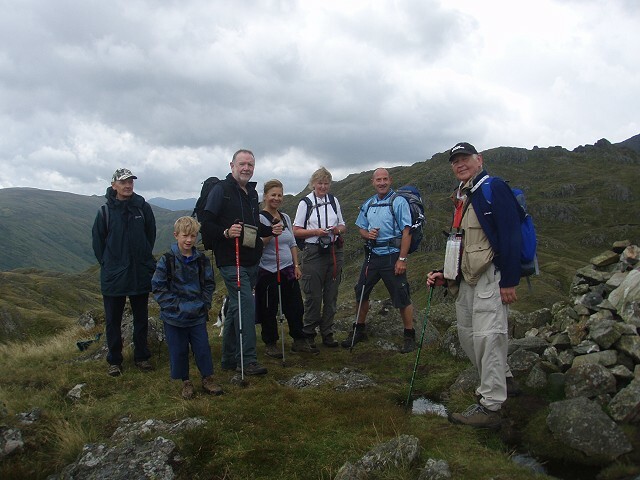 This is what makes it all worth while as soon the view down to Stickle Tarn and across to Pavey Ark and Harrisons was sharp and clear before us. 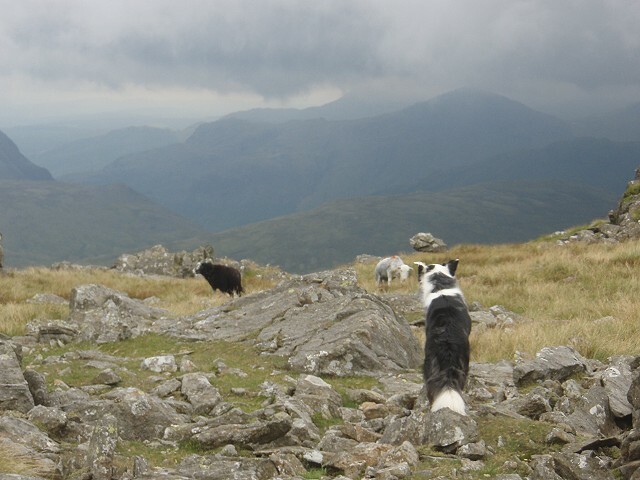 On up to the top of Sergeant Man for 2nd lunch and the opportunity to enjoy the view. 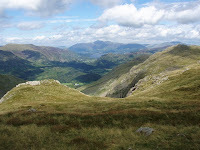 Gentle stroll to our highest point of High Raise before downhill all the way over Lining Crag and down to Stonethwaite. 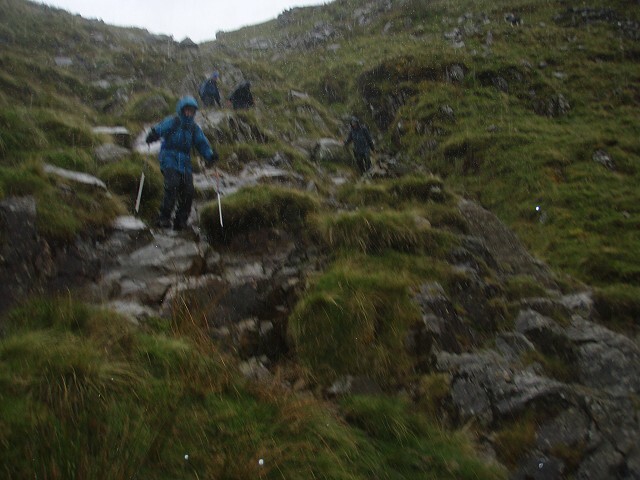 Even a shower as we descended was only a slight dampner though I am now sporting a colourful bruise having not followed my own advise on taking care on the wet stone steps beside Lining Crag! Just got home in time to go over to Braithwaite and earn a chocolate bar by doning a pint of blood. One of my favourite LakeDistrict walks across a grassy wilderness between rocky outcrops. 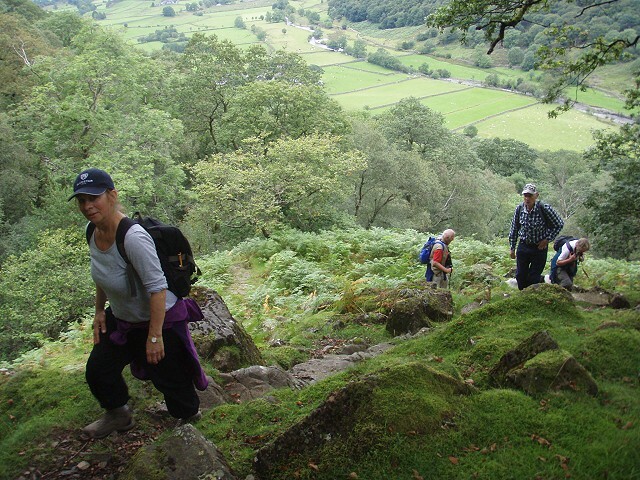 A group of seven walkers aged from 9 to well on in their 70s joined me for this KR Guided Walk yesterday. 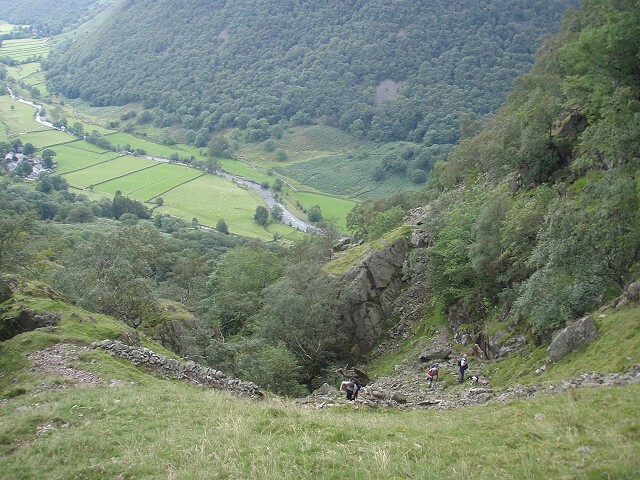 ﻿﻿﻿﻿﻿﻿﻿﻿﻿﻿﻿﻿﻿﻿﻿﻿﻿﻿A steep but well graded stone path leads up beside Stanger Gill with wonderful views back down to Stonethwaite and the Borrowdale Valley. Then a tiny grassy path threads its way to the source of the stream and a final scramble to the top of Bessyboot. Down to Tarn at Leaves and up to Rosthwaite Cam. 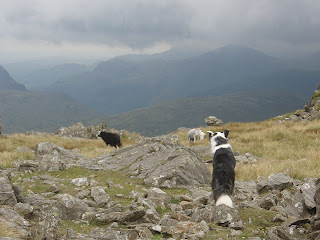 Young Joe was leading the way so it wasn't quite my usual route! After a scramble to the summit cairn it was time for first lunch before going around the Great Hollow to Coombe Door and thence up to Coombe Head. 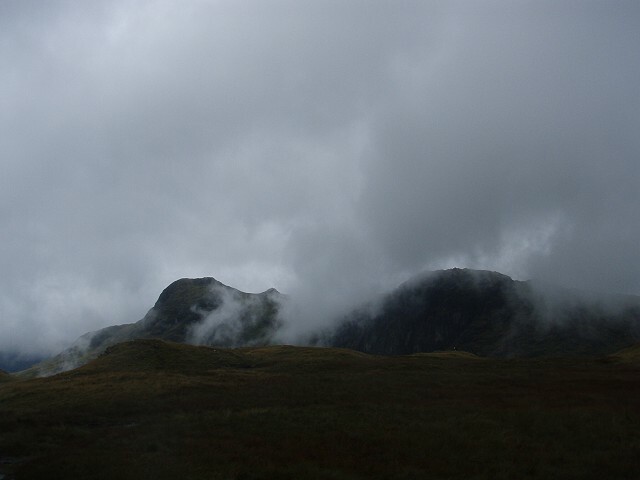 By now the sun was shining and the views were superb - just Great Gable had its head in the cloud.